The Politburo is nominally appointed by the Central Committee of the Communist Party of China but the practice since the 1980s has been that the Politburo is self-perpetuating. The Politburo consists of 24 people and nine of them sit on the Standing Committee. These nine people are very powerful and control most of what happens in China. Mr. Hu Jintao is the General Secretary and Chairman of the CPC Central Military Commission. Since the abolition of the post Chairman of the Communist Party of China in 1982, the General Secretary has been the highest ranking official of the party and heads the Secretariat, Politburo of the Party and its Standing Committee. Since its founding, the most important position in the PRC has been that of the General Secretary (known as Chairman before 1982). The Communist party and its leader hold ultimate power and authority over state and government. Recently, the General Secretary has held the authority of Paramount leader in China. Also, China is a single-party state that General Secretary holds the highest political position ranking in the PRC, which is the most powerful position in the Chinese government. 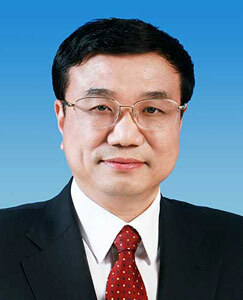 Mr. Wen Jiabao is the Premier and the Party Secretary of the State Council of the People's Republic of China. The Premier is the highest administrative position in the Government of the People's Republic of China. The Premier is responsible for organizing and administering the Chinese civil bureaucracy. This includes overseeing the various ministries, departments, commissions and statutory agencies and announcing their candidacies to the National People's Congress for Vice-Premiers, State Councillors and ministry offices. Apparently, the Premier does not have authority over the People's Liberation Army, but the Premier is the Head of the National Defense Mobilization Committee of China which is a department of armed forces redeployment. In recent years, there has been a division of responsibilities between the Premier and the General Secretary of CPC wherein the Premier is responsible for the technical details of implementing government policy while the General Secretary gathers the political support necessary for government policy. Mr. Wen is the third ranked official, though. Mr. Wu Bangguo, who we seldom hear about, is the second highest official. 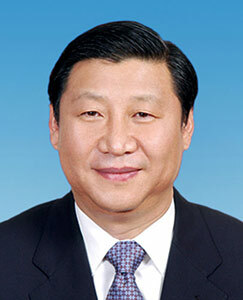 He serves as Party Secretary and Chairman of the Standing Committee of the National People's Congress. 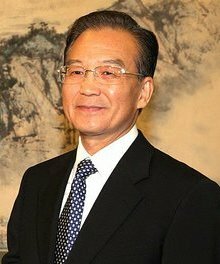 He serves as China's top legislator and was preceded by Li Peng. Mr. Peng's daughter, Li Xiaolin, is a current legislator and the center of some recent controversy for a controversial proposal she made that was juxtaposed by a blogger with her wearing a US$1,990 pink pantsuit from Emilio Pucci. Her proposal? Establish a "morality file" on each citizen so as to “discipline everyone and make sure everyone has a sense of shame.” Currently, she is the only female CEO of a Hong Kong Stock Exchange-listed company, China Power International Development (SEHK: 2380). In 2009, CPID acquired 63% equity interests in Wu Ling Power making hydro 18.73% of its total installed capacity, the highest of any of the Chinese independent power producers. This protects the company from the costs of coal power in China, and makes its overall profile cleaner. In November 2012, the 18th Politburo Standing Committe (PSC) will take office. If previous precedent is followed, seven of the current PSC members will retire having exceeded the age of 67. Only Xi Jinping and Li Keqiang are expected to retain their seats. Xi Jinping, part of a group of "princelings" or the clique called the Crown Prince Party, is expected to take the position currently held by Mr. Hu Jintao. His recent, high-profile trips abroad to numerous nations, including the United States, all but assure that he will take the reigns later this year. Xi married Ke Lingling in the early 1980s. After about 3 years, they were divorced, due to personality clashes. Xi married the famous Chinese folk singer Peng Liyuan (彭丽媛) in 1987. Peng Liyuan, a household name in China, was much better known to the public than Xi until his political elevation. The couple frequently live apart due to their largely separate lives. They are sometimes considered China's emerging star political couple. They have a daughter named Xi Mingze (习明泽), who enrolled as a freshman at Harvard University in the Fall of 2010 under a pseudonym. Li Keqiang is currently Deputy Party Secretary and first-ranked Vice-Premier of the State Council of the People's Republic of China and is predicted to assume Mr. Wen's positions come November. The Xi-Li administration is likely to be dominated by two factions. Hu Jintao's Communist Youth League faction and the Crown Prince Party (or "Princelings") are seen to be the two dominant factions within the leadership. In an article by Cheng Li of the Brookings Institution, four additional individuals have more or less secured their membership in the next PSC: Vice Premier Wang Qishan, Vice Premier Zhang Dejiang, Organization Department head Li Yuanchao, and Propaganda Department head Liu Yunshan. 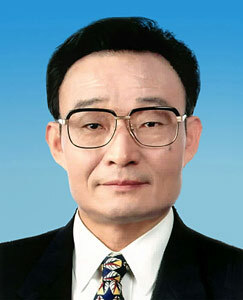 Other prominent figures that are speculated to be top figures in the 5th generation include newly-appointed Chongqing Party Chief Zhang Dejiang, Shanghai Party Chief Yu Zhengsheng, Guangdong Party Chief Wang Yang, Tianjin Party Chief Zhang Gaoli, State Councilor Liu Yandong, Secretary General of the State Council Ma Kai, Chief of the General Office of Communist Party Ling Jihua, Minister of Public Security Meng Jianzhu, and Hebei Party Chief Zhang Qingli. Many people believed that Mr. Bo Xilai would also join this elite group. Mr. Bo has experienced some political setbacks over the last several days that have garnered international attention. They may be the subject of a subsequent post.